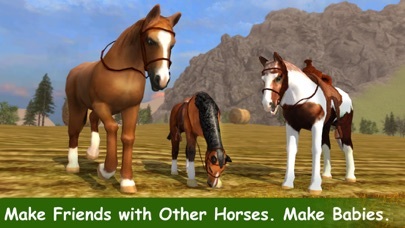 Dream to play horse simulator and quest at the same time? It is possible! 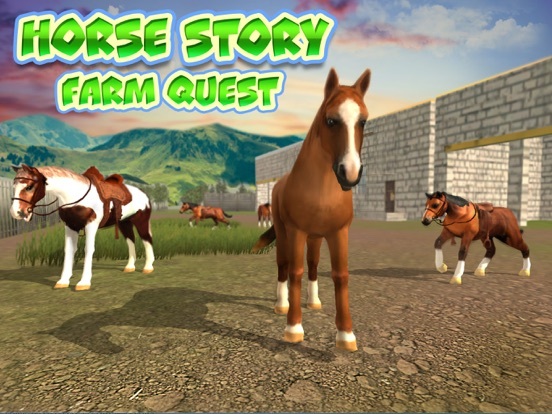 We made Farm Horse Simulator: Animal Quest 3D for quest and simulators fans. Ride a horse and explore the farm to help a little girl. Old Witch (who, by the way, hates when she called "old") laid a magic spell on your horse's friend and only you can help! 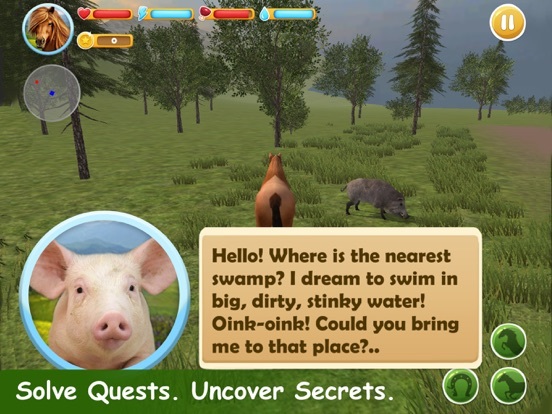 Deep into the farm adventures, follow the quests story line, find other characters and do their tasks. But be prepared - the forest near the farm is full of hungry predators! 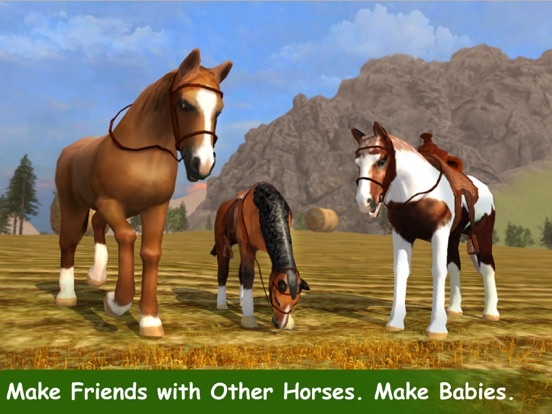 Upgrade your horse and make a herd to be stronger in the simulator. Start your horse adventures in the magic farm right now! Ride a horse in the simulator and improve your skills to finish all quests. Talk with farm inhabitants or give them snacks. All of them will be happy to talk to your horse about your adventures. Check all simulator's locations, meet all characters to complete their quests and earn some gold. 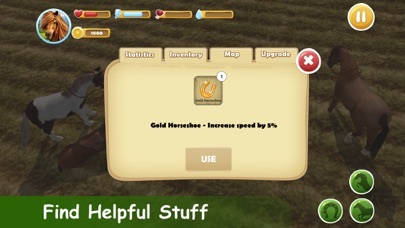 Use convenient map and radar to navigate the horse for quests in the simulator. You'll be always prepared for predators attack and know where look for tasty farm apples and other food. Ride your horse and lead a herd through the adventures in the magic farm. Complete quests together is much easier, trust us! In the horse simulator you can find a lot of things for your adventures - quest items, food for your friends, magic potions and even magic artifacts which make your horse stronger. Try to find them all. 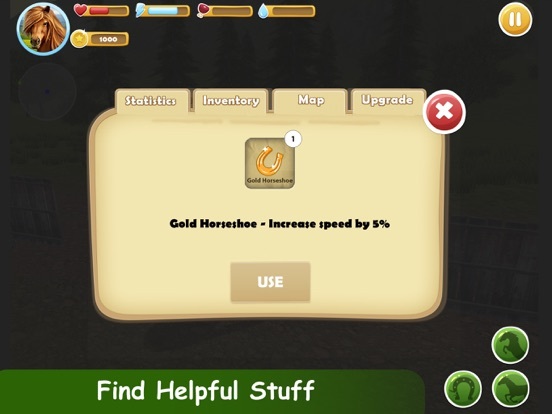 To do that - explore the farm, stable, meadows, dark cave and other simulator's locations. 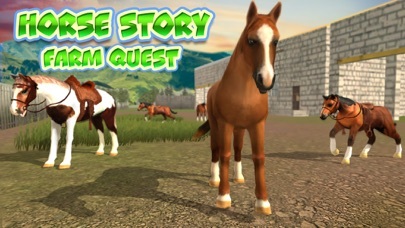 Try our brand new horse simulator and write us about the quest!